Today’s dramatically changing work environments demand that organizations continuously ensure that there is a robust leadership pipeline ready to be deployed now and in the future. Identifying, assessing, selecting and developing the next generation or potential future leaders is, therefore, one of the most critical strategic objectives for ensuring a sustainable, competitive organization. Broadly speaking, next-generation or future leaders are primarily the high potentials of the organization. 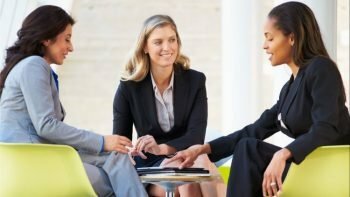 High potential talent is often viewed as an employee who is assessed as having the ability, organizational commitment, aligned to the organization’s values and has demonstrated the competencies and skills as well as the motivation to rise to and succeed in more senior positions in the organization. Each organization will have their own definitions of high potential talent, but the process and criteria for assessment and identification of high potentials are quite similar between organizations (Bawany, 2018). Having a robust leadership pipeline remains as one of the critical talent management issues facing organizations around the world operating in a VUCA business environment as this would contribute towards the development of a sustainable competitive advantage to the organization. This is achieved by identifying and cultivating emerging talent early, while enhancing organizational capability. Developing a leadership pipeline starts with identifying and then transforming high-potential individuals to a variety of developmental opportunities and experiences (Bawany, 2014). The history of coaching can be traced back as far as to Socrates (427 BC – 347 BC). Socrates suggested that people learn best when they take personal responsibility and ownership of a given situation. The word “coach” however, originates from “Kocs”, a village in Hungary where high quality carriages were produced. In the 19th century, English university students began to use this word as slang for tutors that helped them through their academic career. They said they were in a carriage driven by their tutor. (Wilson, 2004).Coaching first appeared in management literature in the 1950’s. Managers began using coaching since it was viewed that a manager had a responsibility to improve subordinates’ performance through a sort of master-apprentice relationship. Coaching, at this time, often took the form of the manager coaching the employees. In the mid-1970’s sports coaching was starting to make its way and being translated into the managerial situation. Since 1980’s coaching has been presented as a training technique in the context of management development. Coaching literature nowadays makes a connection with mentoring, career development, management development over a long period of time, and generating team and individual performance. Executive coaching is a concept that has moved from the world of sports to the executive suite and is designed as a means to help senior executives manage a constantly changing business environment and refine their leadership skills. On the organizational level, executive coaches help companies avoid costly management turnover, develop their most talented people and ensure that leaders perform at their maximum potential. In a research published in the ‘Industrial and Commercial Training’, it was reported that executives who received coaching are more likely to be promoted or received accelerated promotions than those who have not had one-on-one coaching (Parker-Wilkins, 2006). 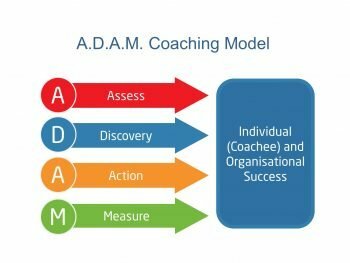 The ‘ADAM’ Coaching Methodology (Figure 1) developed by Centre for Executive Education (CEE); the Strategic Partner of Executive Development Associates (EDA) in the Asia Pacific; consists of a proven four-step process that is firmly grounded in leadership development best practices. A series of psychometric assessment and information gathering from series of stakeholders’ interviews including the immediate manager of the new leader being coached (known as the coachee) will be conducted. The primary objective to determine how the coachee’s performance links to current business goals. An assessment of individual skills, styles, values, and leadership effectiveness forms the basis of the action plan. Gather background on the situation, identify the purpose of the coaching engagement, and discuss expected outcomes. The coach will conduct an in-depth coachee interview, including life and career history, self-perceived behavioral and leadership strengths and shortcomings, and desire to close the gap on weaknesses and further develop the strengths. An initial tripartite coaching session between the coachee, sponsor (the coachee’s immediate manager) and the coach will be held with the objective to obtain the senior management’s commitment to the coachee and the degree of confidentiality to be followed. Provide an overview of the coaching process, timetable, and parameters of the engagement. Meetings are scheduled to review the assessment data. The coachee will be provided with feedback based on the results of the assessments that have been undertaken. Development objectives are discussed between the coachee and the coach to link the feedback received with the agreed to business goals and professional objectives. Based on the key objectives identified, coaching activities and timelines are developed jointly between the coachee and coach. The coachee with the support of the coach will develop an Action Plan which will enable coachees to determine what to do to close the gaps in their leadership capability. The coach and coachee form a working alliance where the coach provides the stimulus and environment for the coachee who will write the action plan. The plan is formalized and shared by the coachee with the sponsor for agreement and support of the action plan and expected development outcomes. The sponsor will sign off the Development Plan to ensure that there is alignment to the business objectives. The coachee will implement the Development Plan by taking well-defined action steps and regular feedback during scheduled monthly coaching sessions with the coach which enables the coachee to move toward measurable goals. “Shadowing” or observation of the coachee at work (as needed and if appropriate). Behavior modification and efforts to use new behaviors. Building new skills and competencies while refining others. Developing key relationships within the sponsoring organization. Communication strategies for successful networking and being an ambassador for the sponsoring organization. The sponsor and coach communicate, either in person, by phone or email, to discuss specific situations and maintain focus on the objectives of the development plan. There is also an opportunity for contact with the sponsor to monitor progress, as defined within the parameters of the sponsoring organization/coach confidentiality agreement. A full evaluation of the coaching process and engagement based on the agreed success metrics at the beginning of the assignment yields objective measures of business results and professional outcomes for both the organization and the coachee. Periodically, and at the completion of the coaching program, the coachee and the coach will discuss progress against the plan and determine action plans as appropriate. A final tripartite coaching meeting will be held, where the results of the coaching engagement will be presented to the sponsor. The recommended next step for the continuous professional development of the coachee will be discussed and agreed upon with the sponsor. The consistent ‘ADAM’ coaching delivery methodology ensures that every coachee receives the same degree of insightful business analysis, personalized consideration, and performance-driven priority. The development of next generation of leaders includes the process of transitioning them effectively into a leadership position. This could be smoother if new leaders develop a sense of optimism, monitor and manage their outlook and perspective. Executive or transition coaching, leadership training, executive education, tools, and systems are very important. However, without the right outlook, new and even veteran leaders will experience serious difficulties and unrest. Organizations must clearly define the purpose of coaching, gauge the process, and evaluate results. Coaching is not just about providing support. Ultimately, coaching should deliver what any business needs – real results. Professor Sattar Bawany is the Managing Director & C-Suite Master Executive Coach with Executive Development Associates (EDA) in Asia Pacific. He is also the Chief Executive Officer of the Centre for Executive Education (CEE). EDA is the Strategic Partner of Centre for Executive Education (CEE) in offering a suite of Executive Development solutions in the Asia Pacific region.